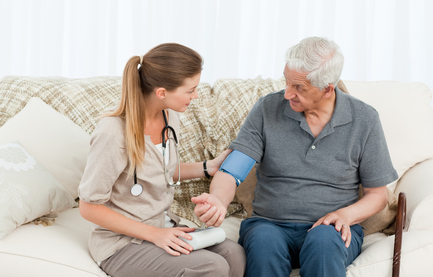 LPN Programs in Fairview PA are designed for any person who wants to be employed in a profession that assists people, and programs are available today. Regardless of whether you enroll in standard courses or online courses, you can go through your training and then become eligible to take your NCLEX license test in a matter of 9 to 18 months. How Do I Get the Most Out of LPN Programs in Fairview PA? You will find standards that have to be fulfilled before one can become a Licensed Practical Nurse. Currently they are: have a H.S. diploma or equivalent and be of minimum age in Pennsylvania, pass a required background screening and test negative for drugs. The subsequent tips should help assist you in deciding which LPN programs will be the best fit for you. The first step in getting started with a position as a LPN is to pick which of the outstanding LPN training will help you. Nursing program or school you finally choose needs to be endorsed by the Pennsylvania State Board or the American Nurses Association. After confirming the accreditation status, you should look slightly deeper to make sure that the school you are considering can offer you the proper training. The National Council of State Boards of Nursing demands license for future LPNs. After license is acquired, you will need to make next step and get listed on the National nursing registry operated by the Nurse Aide Registry. Employment eligibility, higher pay, and more is possible when you get credentialed and included. The newest info from O*Net Online indicates a good outlook for people looking for a position as a LPN in Pennsylvania. The nationwide rate of growth for this position is far in front of the average for all jobs and is among the highest in the medical industry. Considering the variety of advantageous factors on your side, your opportunity will never be better to become a nurse. After you’ve finished your LPN programs, you’ll be able to take advantage of the benefits associated with an exciting new occupation with plenty of potential for development!